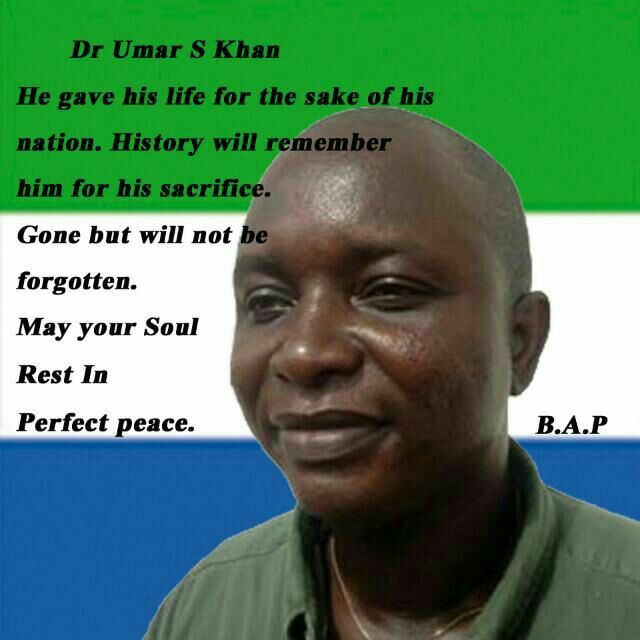 The people of Sierra Leone are tonight consumed by fear, shock and grief, as Dr. Umar Khan – the country’s only virologist specialising in treating those suffering from the Ebola virus, passed away this evening in Kailahun – the epicentre of the disease. 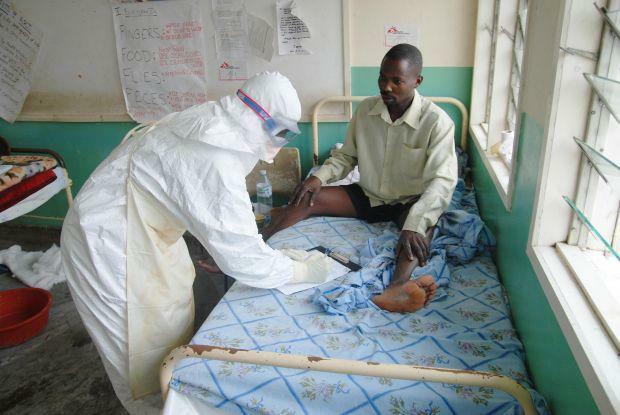 Dr. Khan aged 39, was diagnosed with the virus, just a few days ago and was quarantined at a health centre run by Medecins Sans Frontieres in Kailahun. 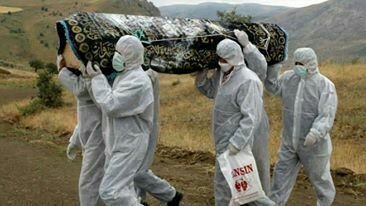 News of his death came soon after the ministry of health published its latest update on the state of Ebola in the country, which according to conservative ministerial estimate, has now taken the life of 159 people, out of the laboratory confirmed cases of 489. But the unofficial number of Ebola deaths in Sierra Leone is believed to have exceeded 250, including 40 health workers and education staff. It is understood that many muslims in Freetown, conducted their Eid prayers at home on Monday and Tuesday, rather than risk catching the virus from the congregation. This is very serious indeed. The government says that 121 patients have survived the disease and have been discharged from the treatment centres in Kenema and Kailahun. The fate of the eighty (80) patients that are currently admitted at the treatment centres in Kenema and Kailahun is unknown, though the prognosis is not encouraging. Only 40% could survive if lucky. Despite the unnecessarily sycophantic and alarmist headlines from overzealous pro-government journalists, that; “the safety of the president is paramount to national stability and cannot and should not be compromised by visiting Ebola affected towns”; and “President Koroma should stay away from Ebola areas” – the president has finally listened to the voice of reasoning. 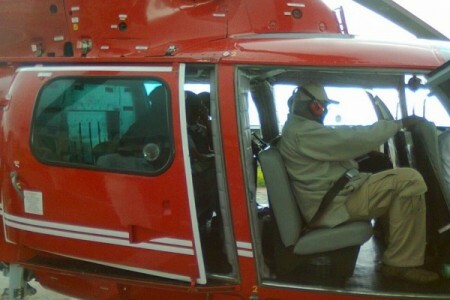 He was seen on Monday cladded in Ebola protective wear, on board a helicopter heading for Kenema. And today it is understood that he has also visited Kailahun. According to the ministry of health, the President visited the treatment centre in Kenema, where he met with health workers at the Kenema Government Hospital and other stakeholders and decision makers from the district. Last week, the president chaired an emergency meeting in Freetown of all development partners to discuss the current Ebola outbreak in the country. After months of implementing an Ebola strategy that many critics had doubted would succeed, the president has presented development partners with a ‘new strategy’ which he believes will bring an end to the disease within the next 60 to 90 days. In 2007 when the president was first elected into office, he promised to bring much needed electricity to the capital Freetown within 90 days. And true to his word, within 90 days Koroma declared: ‘let there be light – and lo there was light’, though for a very short while, as the entire city returned to its perennial intermittent supply of electricity after just weeks. The government had run out of cash to pay for the fuel that powered the gas guzzling generators at the two main power stations. This is Ebola we are talking about, a virulent disease for which there is no known cure, now killing people like flies, not machines. And in a country like Sierra Leone where good sanitation and access to pipe borne water are scarce, how is the president going to end Ebola in 60 to 90 days? Scientists say Ebola will continue in West Africa for at least another six months. The ministry of health has long been overwhelmed by the onslaught of the disease. Notwithstanding the lack of expertise within the ministry and poor leadership, the government needs a whopping $14 million to begin to address the failings of health institutions in the country in dealing with the virus. Despite refusing to declare a state of emergency in affected areas, the President has promised to intensify activities and interventions in containing the disease and stopping it spread. How is he going to achieve this? 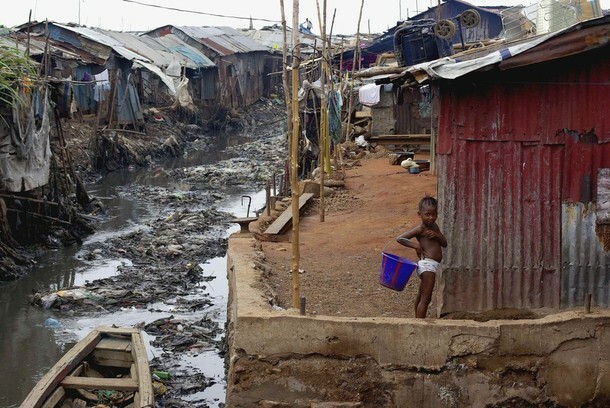 A significant percentage of people in Sierra Leone cannot afford to buy soap. Water is either too precious to use for washing hands, or the culture of sanitation and good hygiene is non-existent in many parts of the country. At the best of times, People’s living conditions are deplorable and desperate. And if Ebola is going to be stopped in its tracks, it’s the people themselves that can make it happen by changing their behaviours, attitudes and beliefs. But they must also be given access to water and cheap soap. Their living conditions must improve. The President cannot be everywhere at the same time, nor can he afford to take his eyes off the ball. But as we discussed in our previous article, Koroma must delegate to vice president Sumana to co-ordinate the activities of the Presidential Taskforce that has now been established, while he – the president receives daily report of progress, as well as chairing weekly cabinet meetings. Contrary to what has been decided, the presidential Ebola Taskforce does not have to include all cabinet Ministers. Why another useless talking shop? The Ebola Taskforce should comprise of no more than 6 specialists including senior doctors in the country, the Red Cross, MSF, the head of the military and police chief Munu. Meanwhile, tonight Sierra Leoneans go to bed with very heavy hearts. Dr. Sheikh Umar Khan is no more. What is so tragic about Dr. Khan’s demise is that he gave up his precious life selflessly, in order to save the lives of others he thought, were less fortunate than he was. Dr. Khan – like many other poorly paid and ill-equipped medical and non-medical staff, who are in the Ebola firing line, knew and know the great risk and danger to which they are exposing themselves. But they soldier on regardless. Has Dr. Khan died so that many others will live? That remains to be seen. Have lessons been learnt? Rest in peace Dr. Khan. May Dr Khan rest in perfect peace. The government must take the blame squarely for the poor strategy against the Ebola disease. Now our top commander in the war has died. The saying goes: to be forewarned is to be forearmed. The disease started in Guinea during the first quarter of the year and then spread to Liberia before Sierra Leone. Liberia took some early precautions and that is why their statistics for Ebola is better than Sierra Leone. Anthony Moiba: I thought it was all witch-hunt and intimidation!